Arthur Edward Copping (1865-1941) was a well known author, journalist and traveller, who lived at River View in Kiln Road. Educated at the North London Collegiate School, he spent 22 years working for the Daily News. 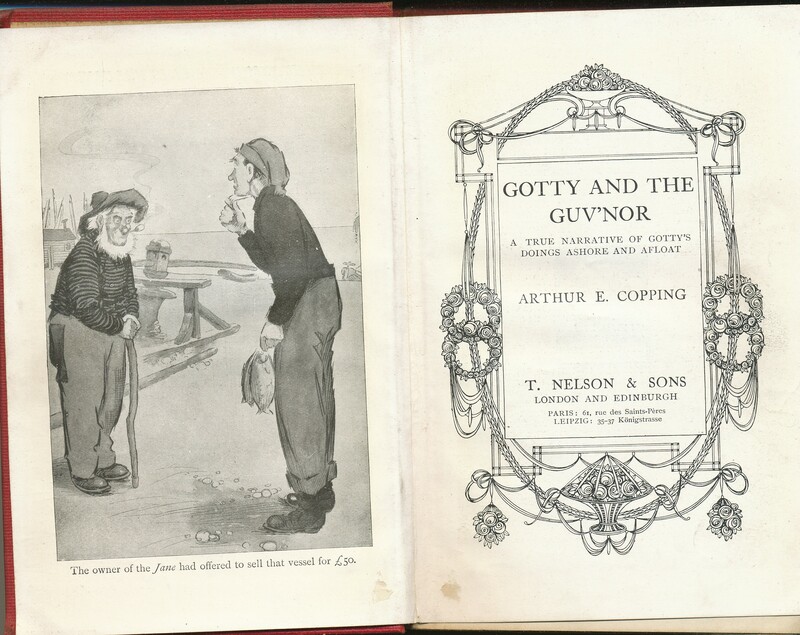 He is best known locally for his 2 books , featuring the adventures of a Leigh fisherman Alfred Boyton : “Gotty and the guv’nor” (1907) and “Gotty in furrin parts”(1908). They were the result of a yachting expedition undertaken by Boyton and Copping. From all accounts Boyton or Gotty was an exceptional individual, who had many claims to fame, including Southend greasy pole champion for 14 consecutive years.